"Being quiet is not my forte." This is what I really look like. Don’t judge. I don’t know of any good normal Pokémon. What should I put here? This user used to be a steel-type trainer like you, then the user took a close combat in the knee. 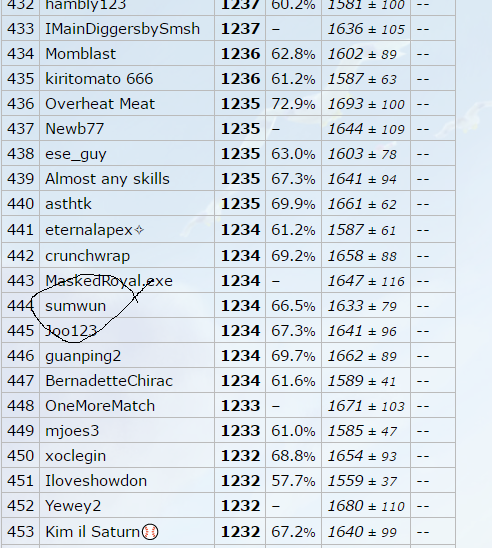 This user's favorite song is Johto Trainer Battle. This user doesn’t care if Pokémon have bad designs. Hey, Generation I Pokemon were pretty bad as well! This user does not trust Chuang Yi. This user uses sumwair Standard Time, which is UTC-13. HEY GUYS, DID YOU HEAR? LUSAMINE IS THE REAL VILLAIN! 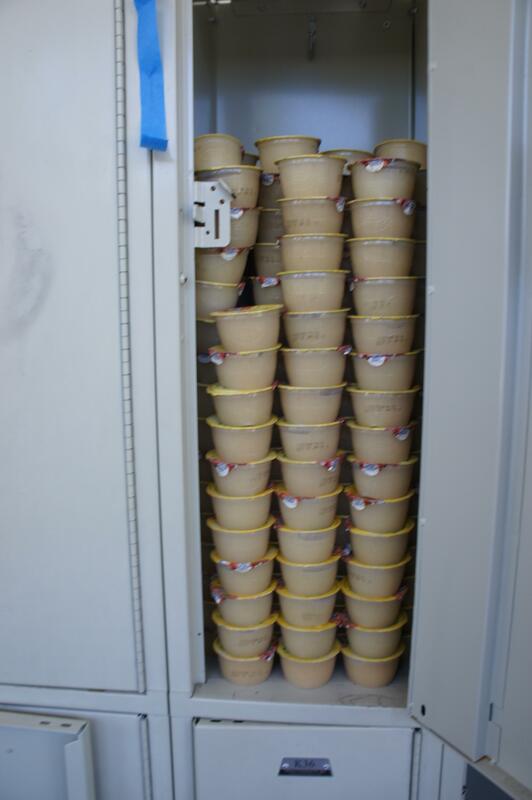 This user has a collection of applesauce. This user is a defiant battler. This user is sick and tired of people using Pikachu to represent all Pokémon. This user thinks Eevee would be a better mascot. This user thinks Rhydon would be a better mascot. This user’s favorite item is the Leftovers. 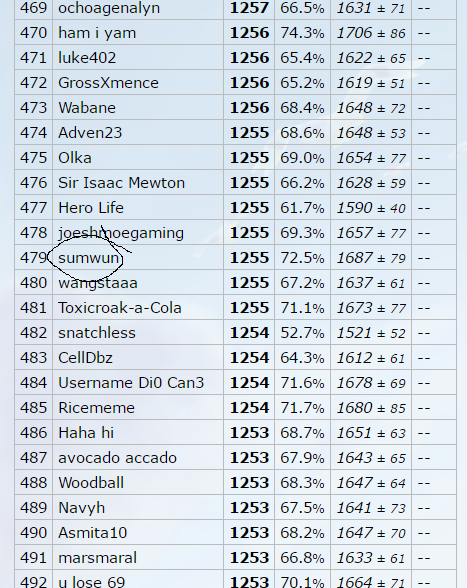 This user was top 500 on a Pokémon Showdown! ladder. There’s already tags for emotional, intelligent...don’t legendaries come in trios? This user uses his trusty frying pan as a drying pan. This user loses when he doesn't eat enough pizza. Libra? Scales? Dragon scales? Get it? nvm. This user's favorite video game is Minesweeper. If you go to a mainspace article that isn't considered a stub (for example, by clicking "random page"), click on the first link in the article that links to a Bulbapedia page, isn't in italics, and isn't in parentheses, and repeat the previous step, you will eventually find yourself at the Bulbapedia article about Canada. It's true. Anyway, I’m sumwun. (obviously, because people other than sumwun aren't supposed to edit this) My first experience with Pokémon was from the TCG. My first card was this Seadra, which I found lying around in my house. When I realized that a few of my acquaintances had their own collections of Pokémon cards, I bought an actual set and started playing with them. A few years later, I got Pokémon Platinum Version (I would have gotten it much sooner if I hadn't spent so much on TCG sets). I decided that the games were better than the TCG, so I ended up giving all of my cards except that Seadra to my acquaintances. I don’t have time to breed for perfect IVs, so I battle on a simulator, specifically Pokémon Showdown!. I think it would be pointless to put in information about which formats I play, because that changes more often than I edit this page. Some time later, I got a copy of Pokémon Emerald Version, which I played on for more than 100 hours before realizing that it was fake. I did get a real cartridge eventually, which is my only other game at the time of writing. I’ve only played core series games so far, but I plan on starting my PMD: Blue Rescue Team sometime. 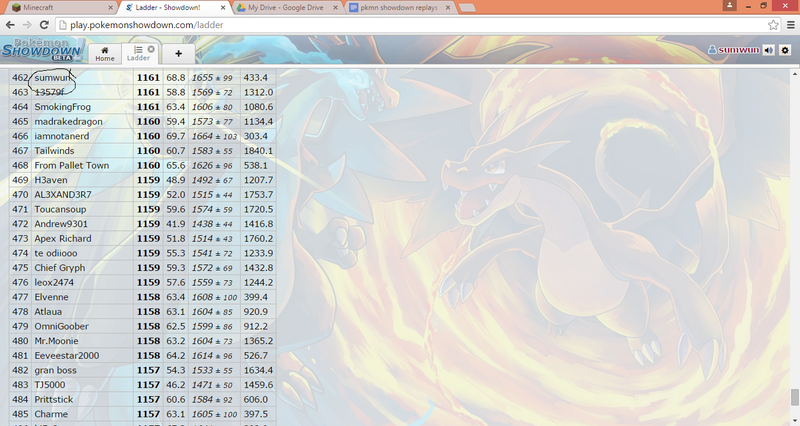 As for Bulbapedia, it’s the best source of Pokémon information I’ve found so far. I tend to pay attention to detail, so most of my activity here consists of fixing unnoticeably tiny errors and adding random stuff to trivia sections. In Emerald, you can't register these Pokémon as "seen", even though they are on the Hoenn Pokédex. Although Grimer can technically be found wild in the Fiery Path, it's very rare and isn't used by any trainers. Pokémon is a huge franchise, not only a TV show. If there was no Pokémon that can represent every branch, then the mascot should at least represent the core series games because that's where the franchise started. Pikachu doesn’t represent them very well, except for Pokémon Yellow Version. Pikachu only became important when the Pokémon anime started airing. The first episode was aired on April Fools day, so Pikachu’s status as mascot was probably just some kind of prank. The mascot of Mario is Mario. The mascot of The Legend of Zelda is Link. The mascot of Kirby is Kirby. In case you don’t see a pattern, the mascots for all these games are one of their playable characters. However, Red has no superpowers, so it would make more sense for the mascot to be a Pokémon. The closest that a Pokémon could ever get to being a playable character would probably be the starter Pokémon, since they’re both titular and obtained at the beginning of each game. Thus, I think it would make sense if all three Kanto starters could be mascots. Of course, they’d have to be roughly balanced in terms of both usefulness and popularity. If some Pokémon were to permanently be a mascot, it should represent some concept that doesn’t change. Two concepts that have been significant in every branch of the franchise throughout the history of Pokémon are battling and evolution. No matter what you’re doing with Pokémon, whether you’re playing a core series game, a spinoff game, the Trading Card Game, watching the TV show, or reading one of the manga series, both battling and evolution are very important and intriguing concepts. A good mascot to represent the former would be Magikarp. It’s one of the weakest Pokémon, but becomes better at battling through battling. A good mascot to represent the latter would be Eevee, which is literally the evolution Pokémon. Feel free to tell me that I’m wrong, but please tell me why. That way, I can find and fix flaws in my logic and win more arguments. This page was last edited on 7 April 2019, at 19:13.